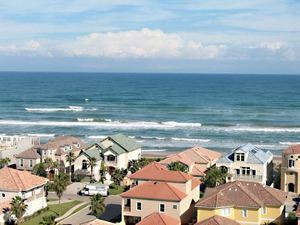 South Padre Island, a town with style - a folksy, warm, inviting style that welcomes visitors from all walks of life, is located on the tropical tip of Texas just 25 miles north of the Mexican border and is THE premiere resort in Texas. This 34 mile long stretch of white sand is bordered to the east by the Gulf of Mexico and to the west by the Laguna Madre bay. The conveniences and attractions of a modern resort coupled with miles of pristine island terrain is what draws thousands of visitors to the area each year, and has brought many back to live. The natural beauty of its beaches, its vibrant business climate and the friendly people that call the Island home matches South Padre's rich history. 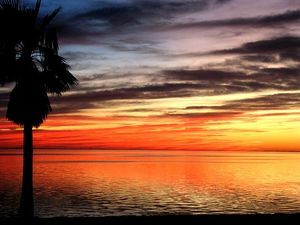 The white, sandy beaches of South Padre are known throughout the United States (ranked as one of America's top 10 beaches), with the emerald water of the Gulf of Mexico serving as the perfect backdrop for spectacular sunsets. From sunrise to sunset, the Island is the perfect playground for sailing, fishing, windsurfing, dolphin watching, horseback riding, shopping and golf, just to mention a few. As the day winds down with spectacular sunsets over the bay, the evenings come alive with dining, dancing and music. Large selections of fine restaurants are available for your choosing, and many will even cook your catch. While its many amenities make South Padre the premiere vacation spot in the state, the location of the Island also makes it one of the premiere spots in the state to observe wildlife in its natural state, and to find that allusive bird to add to your list. One of the best spots in the United States to see all of the regularly occurring rails, South Padre has over 300 recorded species to date, and the list continues to grow, as do the bird watchers. 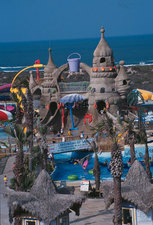 With year round moderate temperatures, South Padre is the ideal vacation spot for everyone. 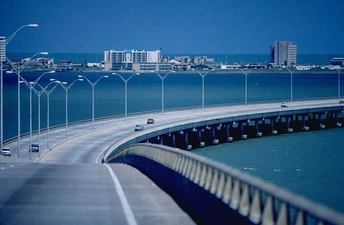 Whether you are a family looking for a week long get away, a winter visitor looking for a warm spot during the cold months in the northern states, or a college student looking for the best spot to relax during Spring Break, South Padre Island is your choice. Welcome to the Tropical Tip of Texas!